In the event you needed a surgery, you wouldn’t want your primary care physician to perform that surgery, and there’s a good reason why. Primary care physicians aren’t trained to do many surgical procedures. Surgeons must complete surgical residencies where they learn how to perform surgical procedures through hands-on experience. Likewise, general dentists treat their patients for general oral health issues whereas orthodontists receive two to three years of additional specialized training after they graduate from dental school. If you’re having an oral health issue, it can be difficult to know who to call for help. This guide will help you decide whom to contact when you find yourself in need of dental work. 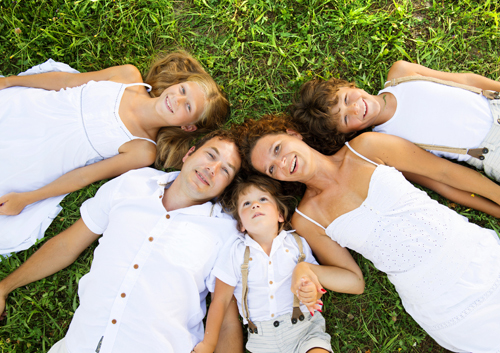 Your family doctor helps you care for and protect your body’s health. Likewise, a general dentist helps you care for and protect your oral health. General dentists can take x-rays, perform root canals, and fill cavities. Many dentists also provide other treatments, such as teeth whitening, sealants, placing crowns and bridges, and gum care. However, general dentists only focus on the teeth, gums and nerves. Therefore, a reputable dentist will refer you to an orthodontic specialist if you need one instead of attempting to do the work himself. Dentists are simply not trained to perform the corrective procedures orthodontists are trained to do. Orthodontists focus more on corrective procedures than they do general overall oral health. If you have crowded or crocked teeth or a misaligned jaw, an orthodontist can help correct these issues. These specialists are able to provide you with braces, Invisalign aligners, retainers, and headgear. Many orthodontists can also help correct temporomandibular disorders. General dentists and orthodontists attend the same dental schools and get the same basic education. However, orthodontists go on to receive specialized training, which better equips them for treating issues related to teeth alignments. Orthodontists can provide you with the best corrective treatments to help improve the appearance of your smile. Let Dr. Mike Mizell provide you or your child with high quality orthodontic care. Initial exams are always complimentary. To get started, please call us at 713-781-5548.